Q: What forms of Tier II submission does the state accept? A: The state of North Carolina only accepts Tier II reports submitted using E-Plan (erplan.net). Paper submissions will not be accepted. Q: What forms of submission do LEPCs and fire departments require/accept? A: While many fire departments and LEPCs accept E-Plan, there are still some who require other methods of submission. You must contact your LEPC and local fire department to ensure you are compliant with their submission guidelines. 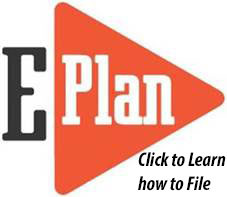 To help industry submit to LEPCs and fire departments, E-Plan will allow you to print Tier II reports or export them to the EPA's Tier II Submit format. Q: How are the reports used? A: Qualified first responders and emergency mangers are given access to E-Plan information for their respective counties. This allows responders to train, plan, and respond to chemical incidents in their jurisdiction. Q: How do I complete an EPCRA Section 311 submission? A: The deadline and method for completing EPCRA Section 311 submissions in North Carolina changed in September 2016. Section 311 reports must now be submitted to the SERC in 15 days (reduced from the previous 90-day filing deadline). In addition, a new Section 311 feature has been added to E-Plan that closely mirrors the Section 312 Tier II reporting interface. E-Plan users with a North Carolina facility that is on file automatically will be able to view the new 311 tab. However, E-Plan users that currently have no facilities on file will need to email epcra@ncdps.gov or the UT Dallas E-Plan support team to request visibility. (Note: This tab is unique to North Carolina and the system will not display the tabs until it recognizes the report is being filed for NC.) Once the chemical information is entered and form submitted, notification will be sent to the SERC and the data will automatically be saved for the next year's Tier II draft report. Users should check with their local LEPC and fire department to ensure that no other 311 submission preferences are required. Q: How are the funds obtained from Tier II fees utilized? A: The funds obtained from the fees will be used to fund the state Regional Response Teams for hazardous materials, the administrative cost of E-Plan, and to fund Local Emergency Planning Committee (LEPC) grants for hazardous materials preparedness. Q: What is classified as a “motor fuel” for fee exemption purposes? A: The definition of a motor fuel is found in NCGS Chapter 105 Article 36C and includes gasoline, diesel, and blended fuels. Q: Can I print an invoice before and after I pay my fee? A: Yes, you can print a detailed invoice before and after paying your fee. Q: What forms of payment will be accepted? A: All payments must be completed online by Visa, MasterCard, AmericanExpress or electronic check. Q: Will I be allowed to pay my Tier II filing fee with a paper check? A: No. All Tier II fee payments will need to be submitted electronically. We do not have the capability to accept paper checks or cash. Many banks allow electronic checks using standard personal or business checking accounts. One potential option is to cut a paper check per your normal business process, input the check's information into the e-check form on the payment page, then keep the original check for your records. Q: Can you update the contact information in my Tier II report for me? A: No. We do not have the ability to modify or change any of the information submitted as part of a Tier II report. You can, however, log in and update your information at any time. If your organization's point of contact for hazardous materials reporting has changed, please update it through E-Plan at www.erplan.net. Q: Are filers responsible for calculating the amount due for Tier II filing fees or will the system calculate it for them? A: The E-Plan system will automatically identify hazardous substances or extremely hazardous substances based on the supplied CAS number and generate an invoice. Please review the total amount and breakdown of the number of chemicals to ensure accuracy. If you believe the system has misidentified a substance, or if you think the tabulation is incorrect, please contact the EPCRA support team via phone 919-436-2746 or epcra@ncdps.gov so we can correct the problem, preferably before completing payment/submission.